Dollar Saving Diva: Support Japan Through Fashion! So today's post isn't about any deals, but I wanted to take a moment to share some of the ways you can support the Japan relief effort through fashion. A lot of designers have either created specific items whose proceeds will go towards the relief effort, or have set up donation plans. Tory Burch is one example. She's designed a shirt for $29 available on Rue La La. 100% of the net proceeds will go to the American Red Cross to support the efforts in Japan. 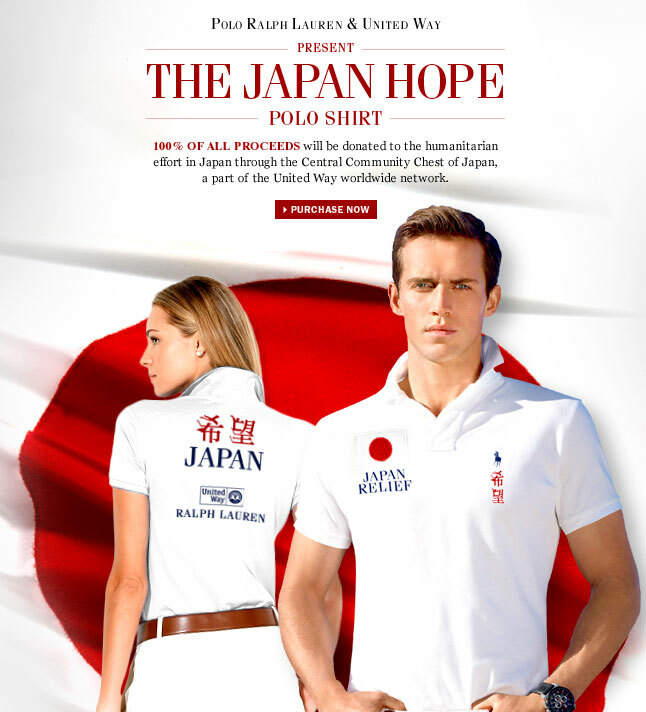 Ralph Lauren has also designed the Japan Hope Polo shirt, where 100% of the proceeds will be donated to the United Way to help the relief effort. The polos are available in navy, black, and white, and cost $98. Other designers are donating a portion of their sales to the effort. Diane von Furstenberg is donating 10% of sales from her U.S. stores and DVF.com to the Japan Earthquake Relief Fund. Coach is donating about $5 million outright. A lot of other stores and designers have set up donation programs where they will match donations. For a more comprehensive list, click here. If there was ever a time to justify doing a little shopping, this is it, so show your support! AMC Movie Tickets Discounted AGAIN!